Notes and opinions focused on the intersection of science, education, politics, and diversity. 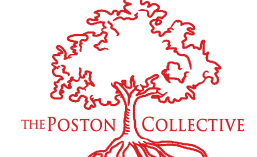 The Poston Collective is a growing group of scholars committed to continuing an ongoing conversation about the importance of diversity, education, and policy in science, technology, engineering, and mathematics (STEM). Funds donated to the The Poston Collective will go towards advertising and promotion activities that are essential to spreading our message and growing our blog. Please help us with our operating costs so that we can continue to share our experiences and encourage progress in STEM. Clink on the link below to donate.